IS ONE of the biggest influxes of flying foxes on record a plague of epic proportions or a tourist attraction gone begging? 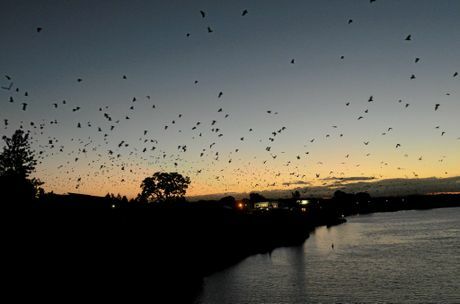 Approximately 100,000 native flying foxes have filled South Grafton's skies every night over the summer months and from some vantage points the spectacle is nothing short of amazing - especially for someone who doesn't witness it every night. 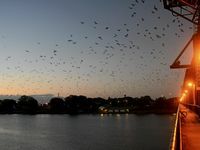 The bats live at the northern end of Susan Island, where there are 20 hectares of remnant lowland subtropical rainforest which once stretched along both banks of the Clarence River from Maclean to Copmanhurst. The majority are nomadic little red flying foxes who, according to National Parks and Wildlife pest management officer Jeff Thomas, will vacate their camp any day now. 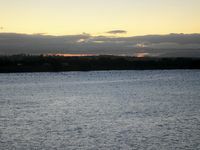 "Susan Island is a reasonably large camp in NSW and during the year numbers go from zero to over 100,000," Mr Thomas said. 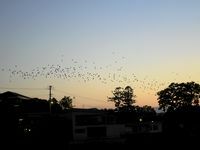 "I've been in Grafton 26 years and this year is either the largest or second largest camp of bats I've seen over there. About 80 to 90 per cent of those are little red flying foxes. There's also small numbers of grey-headed flying foxes and black flying foxes. "They segregate themselves. The little reds roost very low down just above head height in the canopy, the greys above that and the blacks, which are the biggest species, roost high in the big trees. "There are juvenile grey-heads over there as well, still attached to their mothers." Mr Thomas makes regular trips to Susan Island to do surveys as part of a three-year CSIRO project into statewide numbers of grey-headed flying foxes, who have a small, permanent population on the island. "The little reds come in vast numbers for two or three months over summer. But some summers there are as few as 2000," Mr Thomas said. "It really depends on food resources available. Their native food is eucalyptus flowers especially bloodwoods which are widespread in the lower and middle Clarence. 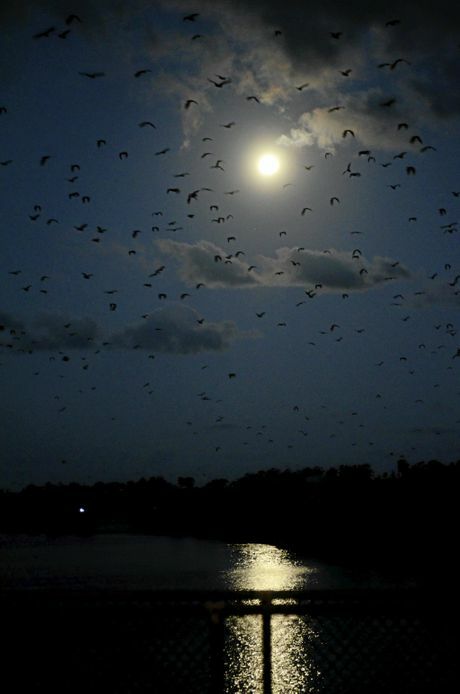 "There seems to be lots of food around which is why there's lot of bats around. We don't really have ability to follow whole stream because it becomes invisible upon dark. But on the coast you could find 30 or 40 bats in the one tree when it's flowering heavily. 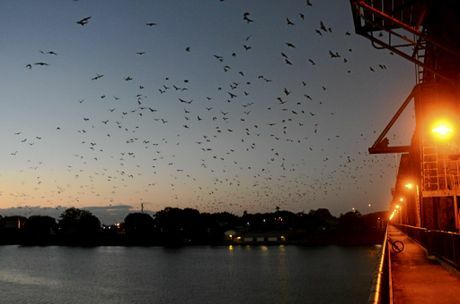 Should Grafton promote its summer influx of bats as a tourist attraction? This poll ended on 10 December 2016. "The peak of numbers are through January and they will stay as long as flowering continues. Then one week the camp will empty out about 90% and that won't be too far away. "They go could be anywhere up to 600km away in a short space of time. "They move all over NSW and inner Queensland, and spend some time west of the mountains in the river red gums lining some of the inland rivers. "There are hundreds of different camps in NSW and in some the bats are only there for a week or two." The focus of Mr Thomas' studies is on the grey-headed variety. 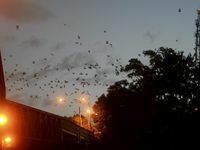 "During winter there is a very small permanent camp of 100 to 200 grey-headed flying foxes there," he said. "They redominantly move up and down the coastal fringe east of the Great Dividing Range. "Some with collars from Grafton have been found down on the south coast of New South Wales and up into Queensland. "Blacks always been regarded more of a tropical species but first turned up on Susan Island in the mid-1990s and in the last 20 years have extended their range to southern NSW. "Throughout the Clarence, there's another permanent camp in Maclean, and one at Sandon River but they haven't been seen there for five years. They sometimes turn up at different locations. Mr Thomas said the regular trips to Susan Island are intense experiences, as the scientists move among the somewhat pungent camps. "It's an intense experience and gets the senses going," he said. "We have to walk inside the colony with the bats just above your head. It certainly gets you on edge. And all bat camps are smelly." 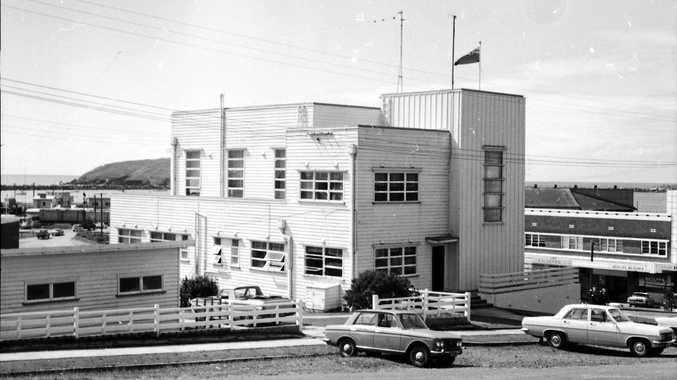 It is that smell which moved residents to urge Member for Clarence, Chris Gulaptis, to present a petition to parliament in an attempt to address the issue of a permanent colony living in residential areas of Maclean and particularly in the environs of Maclean High School. But the Susan Island population is away from residential areas and as South Grafton resident, apart from the sometimes frightening rustling in the mango tree outside which could easily be mistaken for a much larger creature, living directly under the flight path certainly hasn't caused me any grief. It's certainly more pleasant than a runway flight path, put it that way. OPINION: What part of racism don’t you understand yet?